A derivative crime thriller, Heist liberally borrows ideas from other sources but still sinks into its own yawning plot holes. A decent cast barely avoids a total write-off. Luke Vaughn (Jeffrey Dean Morgan) is a card dealer at the casino run by Francis "The Pope" Silva (Robert De Niro) and regularly frequented by money laundering Asian mobsters. Vaughn was formerly The Pope's protégé, a position now occupied by Derrick “The Dog” Prince (Morris Chestnut). Vaughn's young daughter is sick and he needs to quickly raise $300,000 for her life-saving operation, but The Pope turns down his request for a loan. In desperation Vaughn teams up with fellow-employee Jason Cox (Dave Bautista) and they plan an after-hours robbery of the casino. The heist yields $3 million but the getaway goes wrong, and Vaughn, Cox and their wounded accomplice Dante (Stephen Cyrus Sepher, who also wrote and co-produced the film) hijack a city bus driven by Bernie (D.B. Sweeney), with police officer Kris Bajos (Gina Carano) in hot pursuit. The combustible Cox threatens mayhem, and it's left to Vaughn to negotiate with Kris to try and diffuse the situation. Meanwhile The Pope lets Dog loose to retrieve the stolen loot and also has to deal with failing health and an estranged daughter Sydney (Kate Bosworth). A simplistic mash-up of The Taking Of Pelham 1 2 3 with Speed, Heist does not try too hard. Dependant almost entirely on the performances by De Niro and Morgan, director Scott Mann barely sketches in the plot, leaving out most of the required logic and just riding the kinetic energy of a high-stakes theft-from-thieves gone wrong. The plot holes happily ride along the bus, and range from Kris the police officer breaking every rule in the book to The Pope seemingly having an army of goons and infiltrators at his disposal, and culminating in a reveal near the climax that is fully dependent on wild coincidences. Set against the fast and loose plot is a welcome attempt to flesh out the two central characters. It is corny, but amidst all the burning petrol The Pope's quietly tense encounter with his daughter is the highlight of the film and at least sets up an interesting parallel dynamic with Vaughn. The latter's need-to-save-my-daughter imperative provides a shaky foundation for his return to a life of crime, but is also enough to differentiate Vaughn from the pure evil of his fellow criminals. 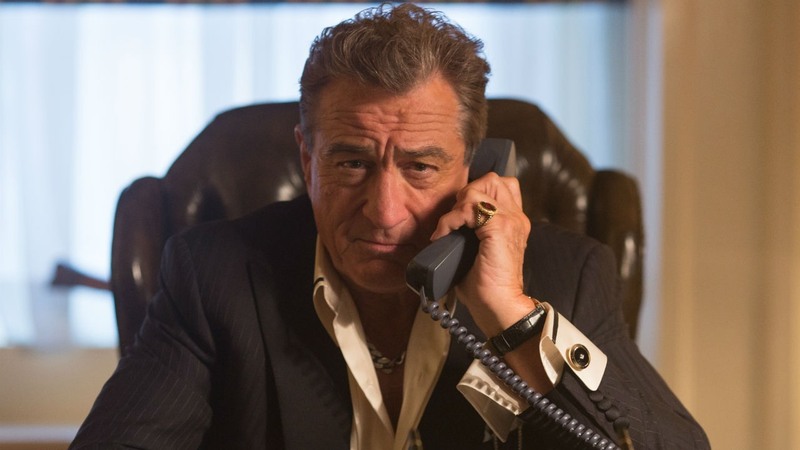 De Niro and Morgan are much better than the rudimentary material, but take the project seriously enough to register some moments of welcome depth, both men lamenting lives that could have gone better. It's not enough to elevate Heist to a decent film, but at least the acting talent on the bus goes round and round along with all the other recycled debris.